Boat owners need to protect themselves and their property from fire just as any other home owner does. The damp conditions sometimes found with boating has always been an issue with regards to which fire extinguisher to install on your boat. 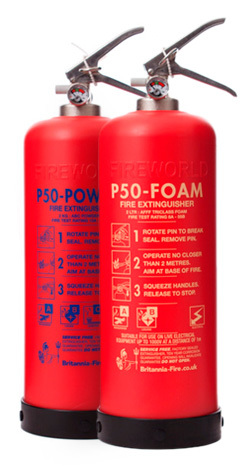 Now with the official acceptance of the Fireworld P50 self-maintenance extinguisher by the Boat Safety Scheme this dilemma finally has an answer. The Fireworld P50 extinguishers, manufactured by Britannia, are non-corrosive. This makes them ideal for wet and damp conditions. They carry a 10 year guarantee and the tough plastic outer shell and inner Kevlar core, which is the same material as bullet proof vests, makes them durable and light weight. There is another added benefit of installing the Fireworld fire extinguishers on your boat; they do not need to be serviced by an engineer. 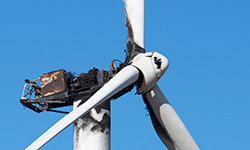 There is a yearly check that must be carried out but this can be carried out by yourself. You will no longer have to arrange for a service engineer to come and service your extinguishers, which can be both costly and inconvenient.